The Shinar Directive Continues Series | Michael K. Lake, Th.D. In my new book, The Shinar Directive, I connect the Son of Perdition with the historic figure of Nimrod within the Word of God. Nimrod’s directive to both draw all men away from God and possibly launch a war on Heaven itself drew an immediate and personal response from the Almighty. Nimrod’s directive did not die with the confusing of the languages; it was only postponed. Since the time of Nimrod, the Mystery Religions have been laboring under the cloak of secrecy to see his directive fulfilled. The Luciferian Elite are committed to creating the proper conditions on planet Earth for the return of their beloved despotic king, the Son of Perdition. To gain a better understanding of this Luciferian king, I decided to examine Chapter 2 of Second Thessalonians for myself to see if there were clues unnoticed by researchers that preceded this generation. As we draw closer to the revealing of the Son of Perdition, the sorcerer’s cloak of mystery grows thinner. It is my desire to take the present day truths that are being revealed by the Holy Spirit in our generation to pierce even deeper through the Babylonian haze that surrounds this Man of Sin. Now we beseech you, brethren, by the coming of our Lord Jesus Christ, and by our gathering together unto him, That ye be not soon shaken in mind, or be troubled, neither by spirit, nor by word, nor by letter as from us, as that the day of Christ is at hand. Paul is writing to the Church in Thessalonica. A teaching, whether delivered by the power of some spirit through a false teacher or by letter, was stressing the imminent return of Christ in their day (thus, Paul’s statement that the day of Christ was at hand.) In retrospect some nineteen hundred and sixty-four years later, we can see Paul’s point. A lot of history has happened between A.D. 51 and today. A strategic event, similar to the first rise of the Son of Perdition, must take place. Have you ever stopped to think about the life of Noah and his family after the flood? Everyone on the planet knew about the only true God and His judgment on a corrupt world that had been contaminated by the Watchers and through the teachings of their children, the Nephilim. (The Nephilim, according to Enoch, became demons after God’s judgment. This fact puts a whole new light on Paul’s statement regarding the “doctrine of demons.” Hebraically, doctrines are not about creeds; they are about the philosophy or ways that one lives his life.) As mankind moved away from the flood, the family line of Ham went to work, and there was a progressive falling away from God. This slow trickle became a tsunami under Nimrod. At the first revealing of the Son of Perdition, there was a great falling away from the knowledge and ways of God. Since the Almighty tells us the end from the beginning (Isa. 46:10), we will see a similar falling away. Therefore, we see the prophetic pattern that is revealed after the flood. The whole earth must be filled with the knowledge of God, His ways, and the truth of His Gospel. Then a waning begins. It will be slow at first but will gain great momentum as the unveiling of the Son of Perdition draws ever closer. Today, this falling away is indeed gaining great momentum. In my youth, I imagined as this happened that there would be no church buildings left in use. Everyone would have left the church, become secular, and worked to empower the Son of Perdition. Although the church buildings of many of the faithful are slowly emptying out, I see many mega churches filled to capacity through another gospel. These churches claim to be Christian, but they have dismissed sin and have made everything permissible under the guise of grace. As we examine the very nature of the Son of Perdition, we will realize the spirit behind his power has already been working behind the scenes to create the theologies needed that have brought about the apostasies of today. I hear many today talk about the Man of Sin but, at the same time, dance around the very definition of what empowers him. The Greek word used for sin is hamartia. This interesting word means, “to wander from the law of God, violate God’s law, sin.” [i] When you realize that the Mystery of Iniquity is what empowers the Son of Perdition or the Man of Sin, you begin to get a clearer picture. Iniquity in the Greek is anomia, which means not only “to be without law” but “contempt and violation of law.”[ii] The Commentary Critical and Explanatory on the Whole Bible clearly expresses what law the Son of Perdition is against: “Iniquity,” Greek, “lawlessness”; defiant rejection of God’s law. [iii] Therefore, we are not talking about the Antichrist having contempt for civil law. In fact, both the Book of Daniel and the Book of Revelation reveal that he will control civil law. The Son of Perdition will defiantly reject the Law of God. This fact is usually avoided by many Evangelicals today (although not historically so). I have witnessed attitudes in Christians that resemble the character of the Son of Perdition, when the Law of God is mentioned. How can this be? Here is our theological conundrum: if Christ did away with the Law, how can the Son of Perdition defiantly reject and oppose it? Would that not make Christ and the Antichrist in agreement? To quote the apostle Paul, God forbid! I believe part of our theological conundrum was created by misunderstanding some of the comments of the apostle Paul, as well as not bringing those select comments into the greater whole of his writings and by taking the concept of Judaizing far beyond the biblical boundaries revealed in Scripture. Could this confusion and conundrum be a part of the working of the Mystery of Iniquity in the midst of our Twenty-First Century theology? I am not looking for what men today define as Judaizing, because we are prone to theological drift and adding cultural bias. Currently, if you asked someone what Judaizing is, they would most likely respond, “Doing anything that is Jewish!” If that is the case, we are all in trouble. Believing that Jesus was Almighty God come in the flesh, that He died for our sins, and then He rose victorious over death, hell, and the grave was originally completely Jewish. I think we need a better answer. I want to know how it is defined in the Word of God. When dealing with Judaizing, everyone looks to the Book of Galatians. So let’s start there. I marvel that ye are so soon removed from him that called you into the grace of Christ unto another gospel: Which is not another; but there be some that trouble you, and would pervert the gospel of Christ. But though we, or an angel from heaven, preach any other gospel unto you than that which we have preached unto you, let him be accursed. Paul is setting the boundaries of Judaizing here. Some began preaching another gospel. The true gospel message is salvation through the completed work of Christ. The gospel, in essence, is about how to be saved from our sins and then enter into the Kingdom of God. Now, do we have a definition of what this other gospel was that some were preaching? Yes, we do. This other gospel that had the apostle Paul so upset is found in Acts 15. These men were preaching the gospel of salvation through circumcision to the Gentiles; only after they became physically Jewish could they receive this Jewish Messiah. This is Judaizing biblically. This false gospel was created and promoted by a specific sect of Pharisees; history tells us they were from the School of Shammai. This school was historically at odds with the apostle Paul’s alma mater, the School of Hillel. Back to our main point here: to add anything else to this definition is to take it beyond the confines of biblical text. The Torah has its place in Christian ministry. I know that this is a daring statement, and I possibly open myself up to ridicule by making it. However, I need to point back to the nature of both the Son of Perdition and the Mystery of Iniquity. If our reaction to the Torah demonstrates a “defiant rejection of God’s law,” then we must ask ourselves if we are being moved by the wrong spirit. This is simply an honest question that we must ask ourselves. First, let us examine our definition of the word Torah or Law. As my friend and biblical scholar, Dr. Karl Coke, points out: part of the problem of translating the Scripture into other languages is that cultural idioms and attitudes are not translated along with the words. To the Greeks and Romans, law was an oppressive thing. This attitude was interwoven in their language, Greek and Latin respectively. God instilled just the opposite attitude in His people. Perhaps the difference in attitude is because they were dealing with the divine law of God instead of the flawed laws of men. However, the religious leaders of Jesus’ day compounded the problem by adding rules and regulations that caused God’s Law to become grievous. This is why the way Jesus taught was so refreshing and authoritative; Jesus was properly interpreting Moses. Jesus walked the Law of God perfectly. This is the reason He was the spotless Lamb of God. He also became the prototype for His followers to live the Law properly. To say that we seek to be like Jesus, yet distain the Law of God, is a complete biblical contradiction. Law (or Torah) in Hebrew means, “law, direction, instruction” as well as “instruction in Messianic age.” [iv] Yet, it means so much more within its Hebraic context. The Theological Workbook of the Old Testament provides additional insight into the meaning of the word Torah. With this in mind, the statement of “Brother, you are bringing me under the Law” seems to have a whole new meaning. With this understanding, the statement would sound like this, “Brother, you are bringing me under the loving instruction of God.” It seems obvious to me that something has been lost in the translation. It is possible that we have misunderstood this Hebraic colloquialism. We will examine this in a later article. The preaching of the Law was always a part of preaching the Gospel. The Torah of God reveals to us what sin is. In fact, the apostle John clarifies for us that “sin is the transgression of the law.” (1 John 3:4b) To preach salvation from sin, one must also preach what sin is. When we remove Torah from the Gospel, we remove the definition of sin and water down the Gospel as a result. Wherefore the law was our schoolmaster to bring us unto Christ, that we might be justified by faith. The Greek word that Paul uses for schoolmaster is paidagogos. Here is the Enhanced Strongs’ definition: a tutor i.e. a guardian and guide of boys. Among the Greeks and the Romans the name was applied to trustworthy slaves who were charged with the duty of supervising the life and morals of boys belonging to the better class. The boys were not allowed so much as to step out of the house without them before arriving at the age of manhood. [vi] The purpose of the Torah was to point out sin, our inability to meet the standards of Almighty God (all fall short of the glory of God – Rom. 3:23), and then our need for the completed work of Messiah. Paul said it another way in Romans 10:4. The Greek words used for end is telos. This word has many uses within the Greek language. It can mean to “end or terminate,” but it can also mean “aim, purpose or goal.” [vii] The Theological Dictionary of the New Testament (TDNT) shows us just how dynamic this word can be within the Greek language. 4. Cultically it denotes an “offering” to the gods or a “celebration” of the “mysteries” or the “fulfilment” of sacrifices. With this in mind, Romans 10:4 could also read, “For Christ is the achievement or success of the Law for righteousness to everyone that believeth,” just as easily as it was translated as “end” resulting in termination. Now we must ask ourselves: if the latter is the proper interpretation, does Paul contradict Jesus? Think not that I am come to destroy the law, or the prophets: I am not come to destroy, but to fulfil. For verily I say unto you, Till heaven and earth pass, one jot or one tittle shall in no wise pass from the law, till all be fulfilled. The Greek word here for destroy is kataluo, which means to “destroy, dissolve, disunite, bring to naught, and overthrow.” [ix] By the way, fulfll in the Greek is pleroo, which means “to make full, cause to abound, to flourish,” and finally, “to fulfil, i.e. to cause God’s will (as made known in the law) to be obeyed as it should be, and God’s promises (given through the prophets) to receive fulfilment.” [x] Jesus makes it clear that He did not come to see the Law of God set aside; rather He came so that we might properly understand it and execute it. With Jesus’ words in mind, I believe that Paul meant that the Law showed its fullest achievement and goal in Christ. This would also bring clarity to his other statements when compared to Romans 10:4. Let’s look at a few of them. First, Paul reveals something about the uncircumcised Gentiles that had received Jesus. Notice that Paul states “the work of the law written on their hearts.” This is actually part of a prophetic promise of the New Covenant. But this shall be the covenant that I will make with the house of Israel; After those days, saith the LORD, I will put my law in their inward parts, and write it in their hearts; and will be their God, and they shall be my people. Paul continues in his argument that it is not necessary for Gentiles to be circumcised to come into the faith of Messiah. Notice what he says about the Law at the end of these verses. Is he the God of the Jews only? is he not also of the Gentiles? Yes, of the Gentiles also: Seeing it is one God, which shall justify the circumcision by faith, and uncircumcision through faith. Do we then make void the law through faith? God forbid: yea, we establish the law. This would have been a great place for Paul to build the theological argument that the Law was done away with. Instead, he uses the fact that these uncircumcised Gentiles are living the Law from their hearts by faith and, therefore, establishing the Law! This obviously discounts that Paul was looking for ways to tell the Early Church that the Law had been done away with through Christ. If we are not careful, we will make the same error that Marcion did in the Second Century. Marcion took edited versions of Paul’s writings to the Church in Antioch and presented a gospel that did away with the need for Gentiles to live according to the Law. Marcion was not embraced by the Early Church. In fact, he was cast out of the Church. Polycarp, a direct disciple of the apostle John, called Marcion the “first born son of Satan.” [xi] The problems from the doctrines of Marcion continued. Around the Second Century, Tertullian wrote several treatises against Marcion. Unfortunately, later on Augustine embraced aspects of what Marcion taught and embedded them into Catholic theology, which also bled over into some Protestant theologies. The Torah of God cannot provide salvation. Although the Law could not save, it promised that One would come that would provide salvation. In fact, Moses was a prototype of Christ in the Old Testament. Moses was used by God to bring judgment on Pharaoh and then deliver Israel from the power of Mystery Babylon (the foundation of Egypt) and allow them to become God’s called out ones around Mount Sinai. Only a redeemed people, set free from the power of Babylon/Egypt, can be given the Torah or Law. God’s loving instruction is for those that have been made citizens of His Kingdom. I have heard many Protestant ministers try to separate the Church from the assembly gathered around Mount Sinai in the Old Testament. The reasoning behind this logic is that the Church is called the ekklesia in the New Testament, and Israel is called the qahal in the Old. The only real difference in these two words is that they are derived from two separate languages. In the Septuagint, the Old Testament translated into Greek prior to New Testament times, uses the Greek word ekklesia as the proper corresponding word for qahal. Both words mean exactly the same thing: the called out assembly. In the same way that the Torah was given to Israel to teach them how to walk with God after being delivered from Egypt, it serves the exact same purpose for Gentiles that have been set free by the completed work of Christ. In fact, the apostle James uses similar language applied to the purpose of the Torah in the Old Testament to believers in the New. The law of the LORD is perfect, converting the soul: the testimony of the LORD is sure, making wise the simple. The statutes of the LORD are right, rejoicing the heart: the commandment of the LORD is pure, enlightening the eyes. It should be noted that only the Old Testament existed when James penned this admonishment. The same holds true when the apostle Paul gave these instructions to a young minister named Timothy. All scripture is given by inspiration of God, and is profitable for doctrine, for reproof, for correction, for instruction in righteousness: That the man of God may be perfect, thoroughly furnished unto all good works. If the Old Testament and the finished work of Christ were sufficient in Paul’s day to mature believers and equip them for any task assigned to them in the Kingdom, why is it not sufficient today? To be honest, with over thirty years of ministry under my belt, I have come to the conclusion that the modern Church is filled with ill-equipped believers because our theologies have disenfranchised them from two-thirds of the Word of God. The Old Testament is not just stories we tell children; it is the instruction of God on how to walk in the Kingdom! So in summation, the Torah not only finds its fullest expression in Messiah, its purpose was to serve as a schoolmaster that would prepare our hearts for the Greater Teacher, Jesus. Once we are in Him, then we discover how He implemented the truths of the Torah to properly walk in Kingdom power, purpose, and authority. Why am I laboring the point about the necessity of the Torah so intensely? When we do away with the Law, we have not only erased God’s definition of sin but also our tremendous need for Christ and His atoning work on the Cross. We also place ourselves in a grave theological position: if we do away with the Torah as the definition of what sin is, where do we draw our definition from? Over the years, I have made a habit of asking ministers the following question during training sessions: “Exactly what is sin?” Because these fine men and women had never been taught the importance of Torah, they could not give me a definitive answer. The truth is, once we have separated ourselves from the portion of divinely inspired Scripture that defines sin, we are left with only one other source: the world. Today, Mystery Babylon is providing us with the definition of sin within our culture. The Church, divorced from the Torah, is left following after Babylon in search of cultural relevance. Now our airwaves are filled with stories that pull on the strings of our emotions with the overarching theme of “I was born that way.” These words are being uttered not only by those embracing alternative sexual lifestyles, but they are also quickly being embraced by pedophiles, those drawn to incestuous relationships, the sociopath, and a growing list each day. Without the moorings of the Torah, civilization is stampeding toward divine judgment. The reality is that the Torah teaches us: “Yes, you were born that way because you were born with the sin nature.” Then the Torah goes on to teach us: (1) what sin is so that we can identify it, (2) just how ugly sin is and its effects on our lives, (3) how sin has separated us from God, and (4) our need for a redeemer to deliver us from the power of sin. Without the Torah, we have lost the full meaning of both sin and the power of the Cross! Now you can begin to understand why we have so many people that are claiming to “be saved” but bare no real fruit of salvation. I believe it is because they never heard the whole gospel; therefore, they received another gospel and another Christ. They received a “no sin” gospel and accepted a self-help guru that simply made them feel psychologically better. Placating our emotions and spiritual transformation are two completely different things. This new gospel, with Jesus as their personal coach, is an expression of the Mystery of Iniquity in our day. In the next article, I will continue with our discussion of the Son of Perdition, the proper use of the Torah in the life of a believer, and the coming challenges that are before us. Michael K. Lake, Th.D. is the Chancellor and Founder of Biblical Life College and Seminary, the Host of Biblical Life TV and the Kingdom Intelligence Briefing Podcast. 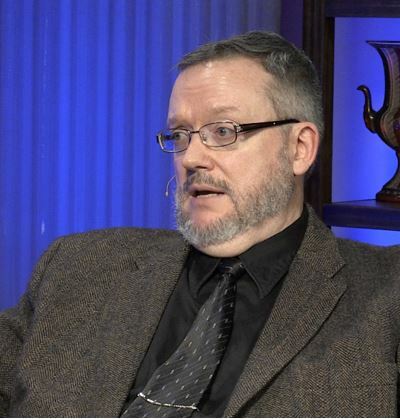 He is the author of the best-selling book, The Shinar Directive: Preparing the Way for the Son of Perdition, and a contributing author for the best-seller, Blood on the Altar: The Coming Christian vs. Christian War. [i] Strongs #G0266. Strong’s Enhanced Lexicon. BibleWorks for Windows 9.0. BibleWorks, LLC, Norfolk, VA. Copyright © 2013. [iii] Robert Jamieson, A. R. Fausset, and David Brown, Commentary Critical and Explanatory on the Whole Bible, vol. 2 (Oak Harbor, WA: Logos Research Systems, Inc., 1997), 397. [iv] Strongs #H08451. Strong’s Enhanced Lexicon. BibleWorks for Windows 9.0. BibleWorks, LLC, Norfolk, VA. Copyright © 2013. [v] R. Laird Harris, Gleason L. Archer, Bruce K. Waltke, ed., “910: ‏יָרָה‎,” in Theological Wordbook of the Old Testament, (Chicago: Moody Press, 1980), WORDsearch CROSS e-book, 404. [vi] Strongs #G03807. Strong’s Enhanced Lexicon. BibleWorks for Windows 9.0. BibleWorks, LLC, Norfolk, VA. Copyright © 2013. [viii] Gerhard Kittel, Gerhard Friedrich, and Geoffrey William Bromiley, Theological Dictionary of the New Testament (Grand Rapids, MI: W.B. Eerdmans, 1985), 1161. [ix] Strongs #G06427. Ibid. Strong’s Enhanced Lexicon. BibleWorks for Windows 9.0. BibleWorks, LLC, Norfolk, VA. Copyright © 2013. [xi] Ron Mosely. Yeshua: A Guide to the Real Jesus and the Original Church. Messianic Jewish Publishers, Baltimore, MD. Copyright 1996. Pages 40-41. Dear sir, thank you very much for this Spirit-led and filled article. I have printed a copy so that I can refer back to it and use it as a tool for further study. I look forward to reading further of your works in the future. I’m a Pastor and just read this blog on the Torah/Law. The Puritans called it ‘the grace of law’. The whole law is summed up in one word, LOVE. Love is the fulfilling of the law. Whatever is not of love is sin. Jesus fulfilled the law by loving God and others perfectly. The Holy Spirit sheds the love of God abroad in our hearts that we might fulfill the righteous requirement of the law. The law of God is love and love is eternal. God is love. I like what I’m reading here and ordered your book to see where you end up. God bless you. You can already seeing where I am going. How do we share the proper biblical definition of love for God is a world (and church) that is saturated by narcissistic worldview. What is the Biblical definition of love? I find that the greatest revelation in the Torah is the revelation that God made of His “Goodness” in Exodus 34. I find 7 attributes of His goodness revealed there: Graciousness, Compassion, Long-suffering patience, Loving-kindness, Faithfulness, Mercy/Forgiveness and Justice. These attributes of His goodness define love. These are the fruits that the Holy Spirit imparts as He abides in us. We see this Love in Christ. When I mention that I’m interested in where you are going, I’m talking about antichrist and how you see the end playing out. Mr.Lake, Thank you for this article. It really helped me get a better understanding of God’s law and grace. Thank you sir and God bless you. Heartbreaking, but I agree with your assessment. We must study all scripture to grasp the attributes of Almighty God. A vile deception is so-called replacement theology, countless times I’ve heard it stated, “We are to be a new testament church” an outgrowth of this lie. We are all blessed to have the entirety of scripture, I am reminded of Paul’s admonition in Romans 9:24. God blessings upon you.